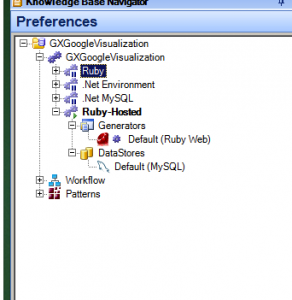 For this example we are going to install an run GeneXus “GoogleVisualization” Example. You can download the KB from genexus open server. First we recommend we run it under the Default Ruby web-brick (local) environment. This is your development environment. 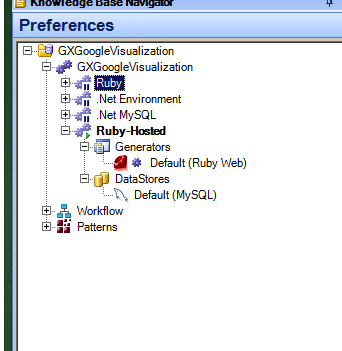 And the have a Deployment environment, in my case I’ve named it “Ruby-Hosted”. 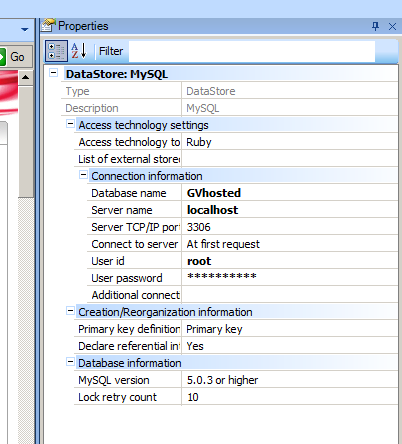 Under DataStore, configure the credentials for your “production” mySQL database. 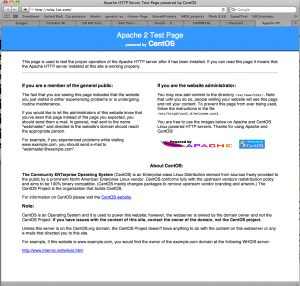 Under Generators, you have to change from “Webbrik HTTP server” to “Apache HTTP Server”. and on “Site directory..” the full path of your application from “inside” the server. Now you need to “Build All”. Once it’s done, you simply copy the entire content of your “local deploy web directory” into your server deployed web directory, and run the application. Now, you are “almost” ready, before you can RUN the program you have to run your “REORG” that on your first deployment is going to be the creation of the database. Once you are done with this you are ready to move forward. First you need to copy the following directories from your GeneXus installation to the CentOS server. 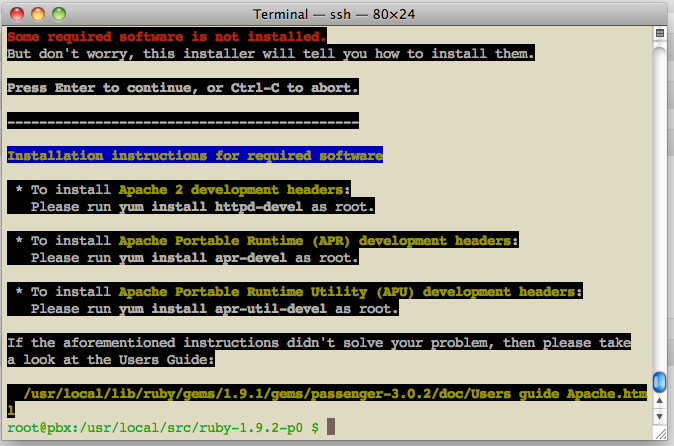 From under “gxruby” copy the “linux” and “generic” directory both under the same subdirectory. In my case I’ve created a new directory on the server called “gxruby” (original 🙂 ), and put them there. Under the subdirectory “gxruby/generic/gx_lucene” (this is where you copy from the GeneXus machine), you have to edit the script “build_make.sh”. 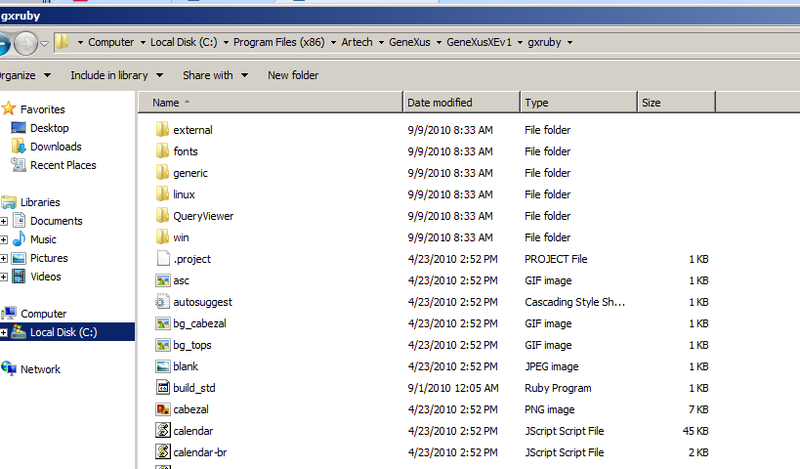 Now you are ready to run the installation script that will install all GeneXus gems on your system. 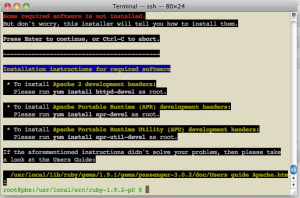 Go to “./gxruby/linux”, and run the “installgems.bash” script. 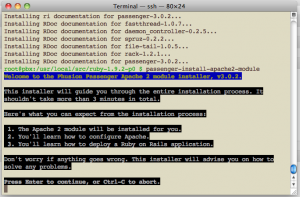 Now, you are ready to deploy your GeneXus Ruby applications. 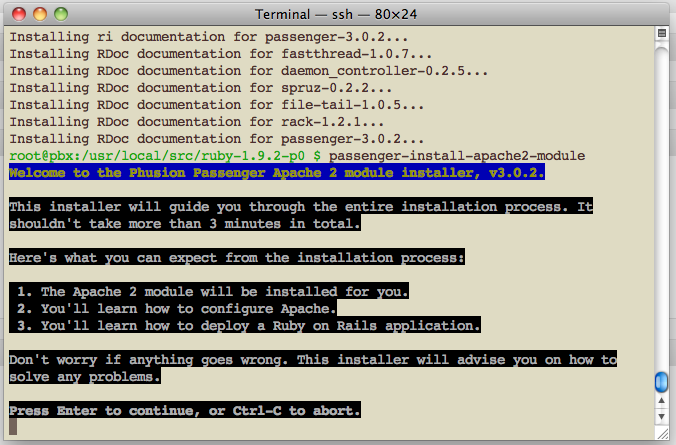 As a prerequisite you have to have installed Ruby 1.9.x on your CentOS system. to “patch” your apache’s configurations file. There were also some updates to some of the PHP packages installed, so these were installed at the same time. 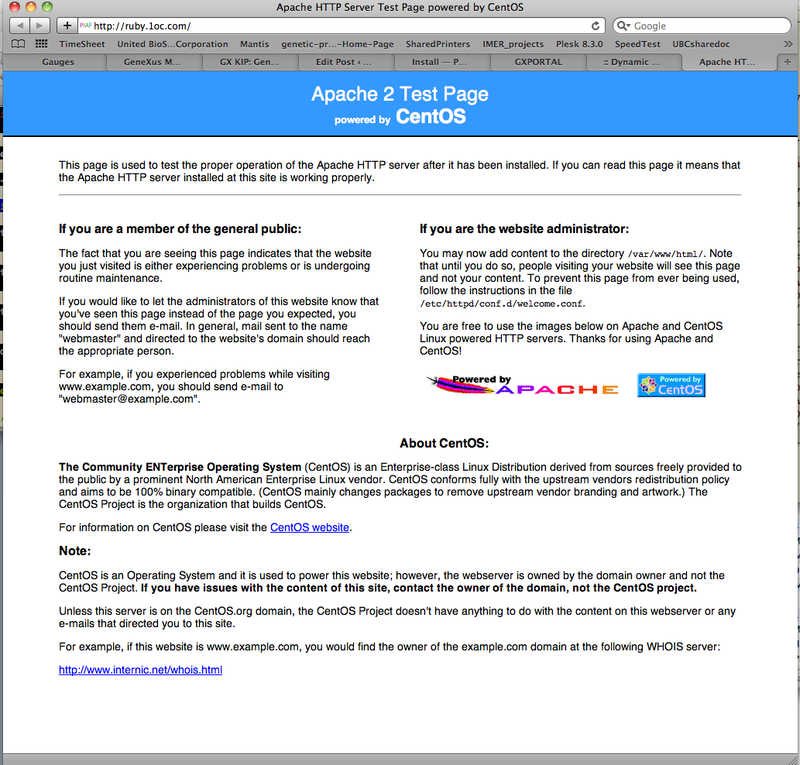 After the install was complete, it is needed to restart Apache and the SoapClient class could now be load by PHP.